Researchers or cryptocurrency experts have different opinion on the price of Bitcoin. 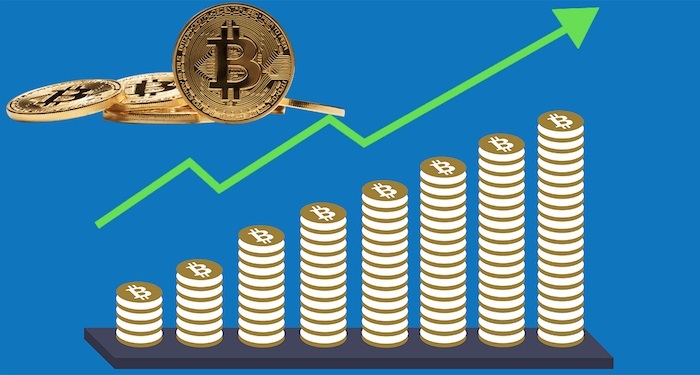 According to the analysts, the value of world’s top most cryptocurrency might reach to $25,000 by the end of 2018. In the beginning of this year, Bitcoin and other cryptocurrencies have faced a major decline in the price. The crypto markets lost around 50 percent of the value in just few weeks. Witnessing this, most people are assuming that this is end of cryptocurrency; however it is not so. The real aficionados doesn’t get bothered with such things. One such pundit, Tone Vays (Consultant and Analyst at New York) is positive for the future of Bitcoin. As per his opinion, Bitcoin will surely recover sooner or later. However, he is not so sure that how will the market will stabilize again and how Bitcoin’s value will increase. After such situations in the crypto market, reaching the six-digit value for Bitcoin will be an uphill task. Therefore, in the books of Vays, Bitcoin will reach a mark of $25,000 by this year end. Another famous Bitcoin analyst, Ronnie Moas also thinks the same. According to him, Bitcoin will attain the milestone of $28,000 at a particular point in 2018. When talking about Bitcoin, there are positive as well as negative things. However, we can witness a rapidly growing interest in the Bitcoin Futures. The volume of Bitcoin Futures for the month of February is 1,101. In this week, this is one of the highest numbers. This simply indicates that people have quite high expectations regarding the price of Bitcoin. On the contrary, CBOE has witnesses 4,225 volume. The situation has definitely improved as compared to the last weeks. The average volume for Bitcoin Futures and CBOE is on rise. Although, this will not translate the high Bitcoin price. Finally, things are changing in South Korea too. After some weeks, the Bitcoin premium price is increasing. Owing to the lower market liquidity and investors that are paying more value for each Bitcoin (BTC), the value of Bitcoin has increased again. Besides, Upbit and Bithumb are trading Bitcoin at the price of around $11,400. Currently, Western World is trading Bitcoin from $900-$1,000. Discrepancy was also there in the past as well. However, when the same thing happened before, the worldwide value of each Bitcoin spiked to $19,000. There are chances that history will repeat itself very well again.